Leaf footed bugs are plant eaters that commonly infest tomatoes and other plants found around the home. Once in the garden, they’ll stay in the area all summer till fall turns to winter. Leaf footed bugs are large and generally brown. The red legged leaf footer is mostly black with red to orange legs. Leaf footed bugs range in size from 1/2 – 2 inches long. Their legs are strong and ideal for grabbing hold to host plants. Combine this asset with their ability to fly and it’s no wonder the leaf footed bug can be such a nuisance once they find your garden. 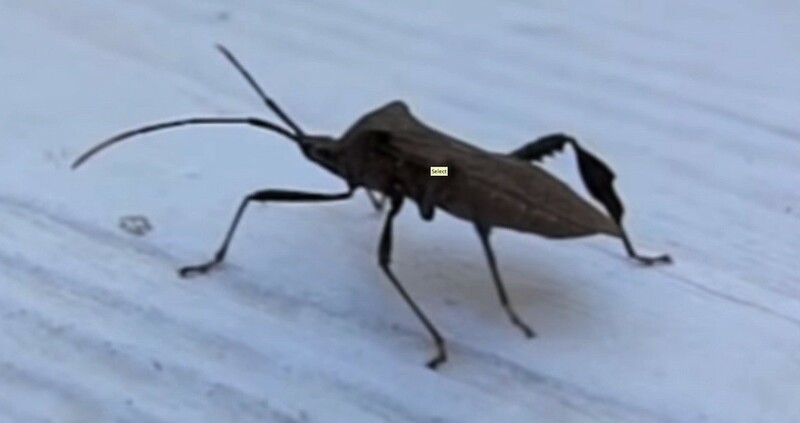 Leaf footed bugs have piercing sucking mouth parts which enable them to feed on plants through sap flow. Commonly confused with squash bugs, the leaf footed bug has a distinct leaf shaped section on the mid part of their hind legs. Squash bugs tend to be more plant specific when it comes to food choices they target; leaf footed plant bugs will feed on most any succulent plant and will many times target a good stand of weeds, ground cover or even trees. 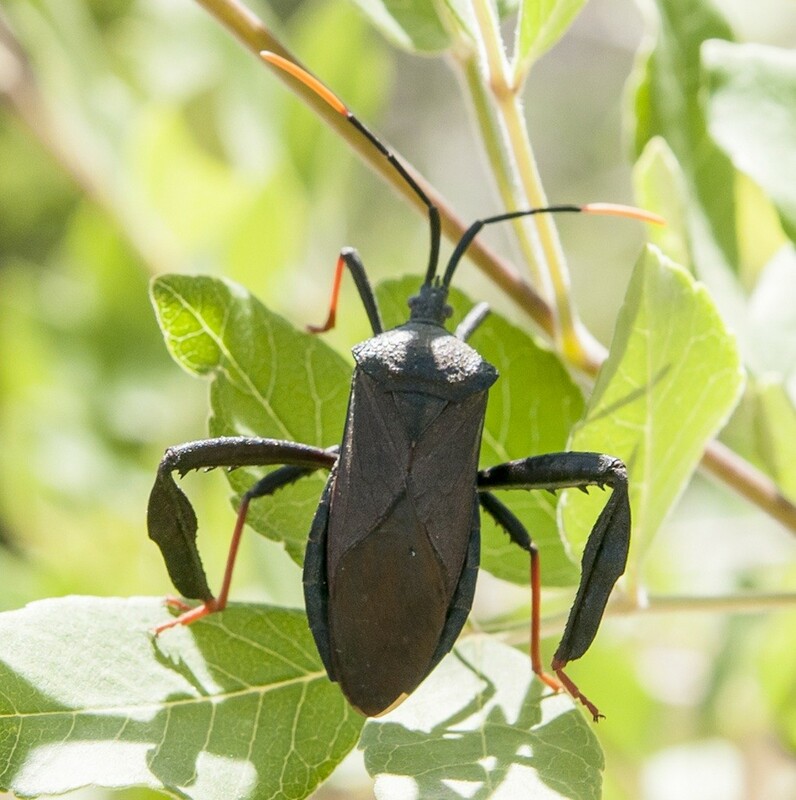 Over the course of summer, leaf footed bugs will grow in numbers if left untreated. As summer turns to fall and garden plants die, leaf footed bugs will migrate to other plants and start looking for winter hibernation sites. During this time they’ll mate and lay eggs on host plants. Many leaves and other plant debris that fall to the ground will serve as carriers of their eggs thus ensuring their return to the area following the following year. Leaf footed bug control during the summer will help stave off their reproductive efforts in the fall. But many times the local infestation is not noticed until they’re seen landing and accumulating on the home. For most homeowners, it’s during this time they finally realize the magnitude of the local leaf footed bug population and initiate treatments to control the invasion. When trying to assess the severity of the problem, look for them congregating on the sunny side of your home. Cool fall night’s and temperature drops cause them to seek harborage for the oncoming winter. Houses and other structures kept warm during these months have proved to be excellent roost locations for leaf footed bugs during this time. 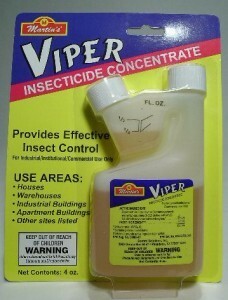 To stop the intrusion, treat the siding on your home with CYPERMETHRIN mixed at 1 oz per gallon. 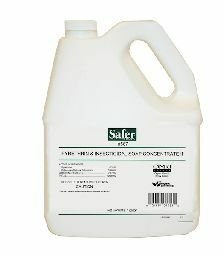 1 gallon of mixed solution will cover up to 500 sq/ft and should be applied as needed; once a month for prevention. Leaf footed bugs are large and built with a strong exoskeleton. 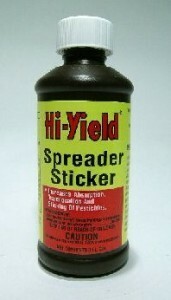 Adding SPREADER STICKER to your tank mix will ensure quick “spray” coverage over their body. This will lead to faster kills when sprayed. Add 1 oz to your Cypermethrin tank mix. For the vegetable garden, we recommend VEGETABLES PLUS CONCENTRATE. 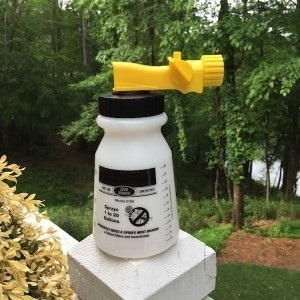 Labeled for use on fruits and vegetables, this product uses permethrin for an active and should be mixed at the rate of 2 oz per gallon of water. We also offer a concentrate approved for organic gardening. MULTIPURPOSE INSECT KILLER is very effective on a wide range of hard shelled insects like leaf footed bugs and is officially approved for organic gardens. Mix 6 oz per gallon of water and use as needed. Multi Purpose has just one day to harvest which means it can be applied daily if needed. But in most cases, treatments will control the current problem and help keep new ones away for at least a full week. For treating the home and low lying plants, any standard PUMP SPRAYER will do the job. 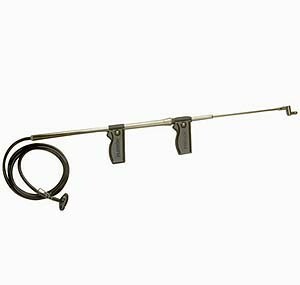 Hose end sprayers can be helpful since they are easier to use when needing to spray large volumes of material. Our 20 GALLON HOSE END is very accurate and ideal for applying Cypermethrin, Vegetables Plus or Multi Purpose Insect Killer. Lastly, the TROMBONE SPRAYER is ideally suited for reaching high elevations where leaf footed bugs are likely to be nesting in trees. Leaf footed bugs are an invasive pest will readily move into your home during the winter months. A good exterior treatment in the fall will stop the invasion and keep them off the structure. In the garden, treatments during the summer should enable you to prevent the population from getting established. Garden plants, leaf litter and other common recycled mulch should be treated or discarded once an active infestation is discovered. If treated early enough, you should be able to limit the problem to the yard. If they’re not noticed till fall, exterior treatments made to your home may be needed to keep them outside. Leaf footed bugs are big and tough but the right product sprayed at the right time will keep local infestations under control. In New Orleans area. Veg garden and squash trellis systems are seeing leaf footed stink bugs in the spring and fall. What should we use to control and when should we apply it? If you review the article above, you’ll see all the options we have available. Generally the Cypermethrin is what you would want to use in early spring to kill off any living or nesting in the area. Spray the ground and plants from March to June using 1 gallon of mixed product for every 500 sq/ft of surface area. Now once the vegetables start growing in, you’ll want to treat them once a month with Vegetables Plus. This product is safe enough to use on edible plants in a vegetable garden but strong enough to kill off any pest including leaf footed bugs. Use it once every 2 weeks once fruits and vegetables start to develop on the vines. Lastly, once the garden is done in the fall and plants removed or after they die, treat again with the Cypermethrin 1-2 to kill off any pest trying to use the area for the winter. This in turn will help reduce if not eliminate the problem from starting up again the following year. Are your products safe to use if we are raising honey bees? If you review the article above, you’ll learn the products listed should be applied to specific locations where leaf footed bugs are a problem. When applied to these areas, they will kill nesting leaf footed bugs and the treatment will repel them. This same repelling action will apply to many other insects including honey bees. So unless the bees start landing on where you’re applying the products, they shouldn’t be affected. Remember, people typically get leaf footed bugs on the their home or a few plants in the yard and if thats what you need to treat, your bees will be fine and unaffected. But obviously if you treat their hives directly they’d be impacted. And in general, you’ll want to keep a good 25 foot buffer zone of untreated area around them so they won’t get any “drift” that might happen from a breeze when you treat.